Orkney has retained its title as the best place in Scotland to live in a new survey. The 2015 Bank of Scotland Quality of Life survey placed Shetland second and the Western Isles third. Orkney secured the top spot for the third consecutive year by scoring highly in categories including health, employment, low crime rates and good weather. It also boasted a low population density. The survey reported that Orkney had the highest employment rate in Scotland, with 86.3% of adult residents being in work, ahead of Aberdeenshire (81.7%) and Shetland (80.9%). These were above the Scotland average of 73.8% and the UK average of 72.9%. So why not apply for our Rural Track Program with rotations based in each of the top three in the survey? We have rotations based in Orkney, Shetland and the Western Isles, with hospital aspects of the rotations based in our rural general hospitals and the general practice aspect being based in the local training practices. Our rural general hospitals get extremely positive feedback from our trainees with lots of hands on experience that is very appropriate for GP training all closely supported by the local consultants. If the rural track is not for you then take a look at our Grampian Program with Aberdeen and Aberdeenshire both figuring in the top 10 of the survey. 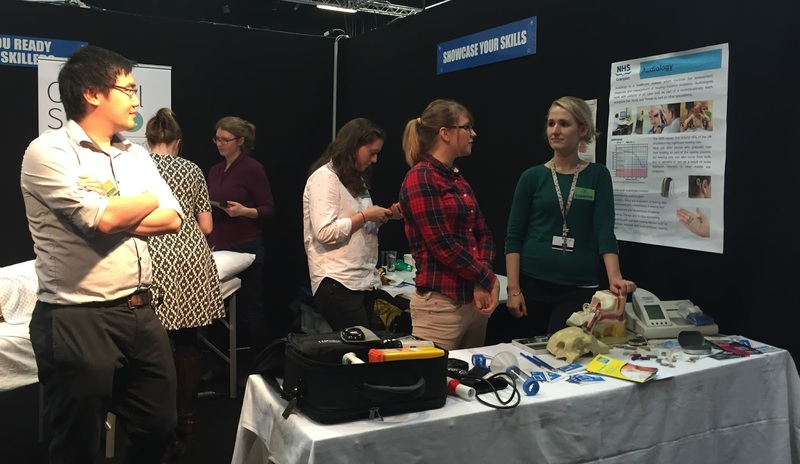 Here is a photo of our GPSTs at the NHS Grampian stand at the recent Skills Scotland event. They had a very successful and enjoyable day promoting studying medicine to school pupils.
" I really enjoyed the event and talking with the school children. I answered specific and varied questions from 'Is it like Gray anatomy?' To 'What grades are needed for entrance?' to giving the children answers on the qualities needed, promoting the various options medicine provides, to promoting medicine and GP in general and making it sound really fun." Rachael Hamilton, one of our ST3s talks about how she has developed her special interest in sexual health. "As you can imagine, Sexual Health forms a large proportion of consultations in General Practice. It was during my first 6 months of General Practice in ST1 that I appreciated just how many! How to help patients in choosing the best and safest method of contraception for them? What to do if they have adverse effects, complications? How to manage tricky ethical issues? I fast found myself wishing to become more knowledgeable in this area and made it one of my goals whilst in General Practice training to complete the Diploma in Sexual and Reproductive Health (DFSRH). The diploma was straight forward to apply for by emailing the DFSRH co-ordinator for the Northeast of Scotland and filling out the appropriate forms. The DFSRH comprises of three stages. Firstly, an online knowledge assessment - a straightforward test of basic theory. Secondly, a course which comprises of 5 hours of small group workshops - this was an informal and friendly day out of practice, a chance to show my knowledge by participating in group discussion and learn more from the experts. Finally, a few days spent with the experts at the centre for Sexual and Reproductive Healthcare to gain clinical experience and be observed as part of an assessment. I found the diploma fascinating and so worthwhile. The workload was very manageable whilst being a full time GPST. I completed the first part of the diploma in ST1, the practical sessions in ST2 and so when returning to General Practice in ST3 I had achieved my diploma. I was so much more confident consulting with patients regarding contraception, related ethical issues and sexual health problems. Once every couple of weeks I now do the contraceptive clinic at the practice which comprises solely of performing contraceptive implant procedures. As well as this being very helpful for the practice, it can be a lovely alternative to 10 minute consultations! Aberdeen now offers a career start programme in Sexual and Reproductive Health which enables you to become even more experienced in this area. Whether you wish to carry out the Sexual and Reproductive Health diploma for increased knowledge or to pursue it as a specialist interest, I would highly recommend it!